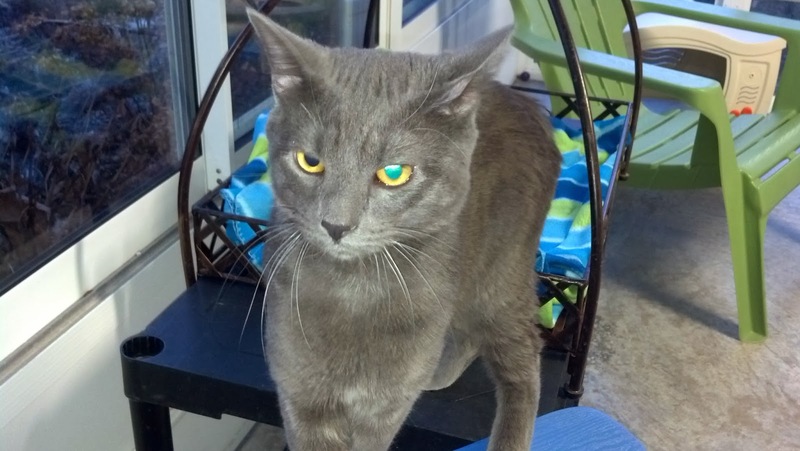 There is a handsome grey cat at Wayside Waifs named Felix. Mama can't believe someone hasn't snapped him up yet! Check him out; isn't he great? Felix is 1 year old and is full of energy. Just watch him go after his featherbutt mousie! Felix also does a great prairie dog impression when he's trying to get a better look at something. He's very curious and loves to explore. Hmmm, what should I play with next? Mama carried him from his kennel to the sunroom and back. Felix was great the whole way, happy to be in her arms. He's such a cool cat! I hope Felix doesn't have to stay in that kennel much longer. He needs his own house to run and play in! Last month, Mama took in a unique kitty to foster. Her name is Chestnut. What makes her unique? Besides being a torbie and the toritude that goes along with that, she is polydactyl on all four paws AND she's bobtailed! 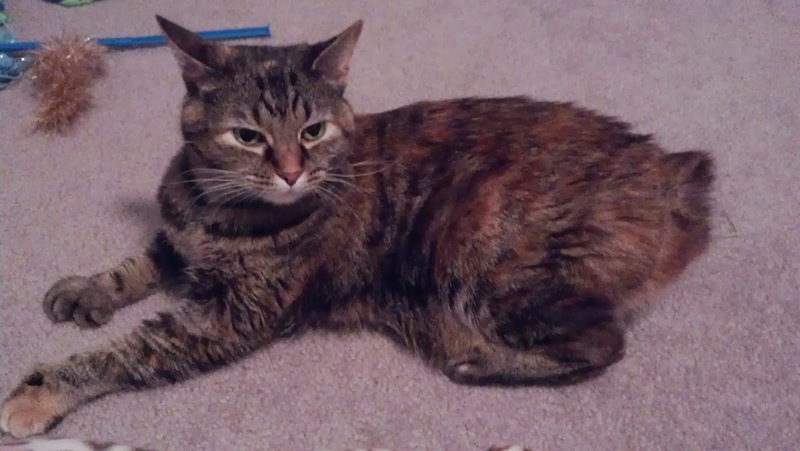 Chestnut is 6 years old and is front declawed. She had a rough time last year. She had actually been adopted, but things didn't work out because somebody didn't respect her boundaries. Because of that, she takes a while to trust the people in her life. It's taken some time with Mom & Dad, but now she has figured out that they aren't going to hurt her and she can relax around them. 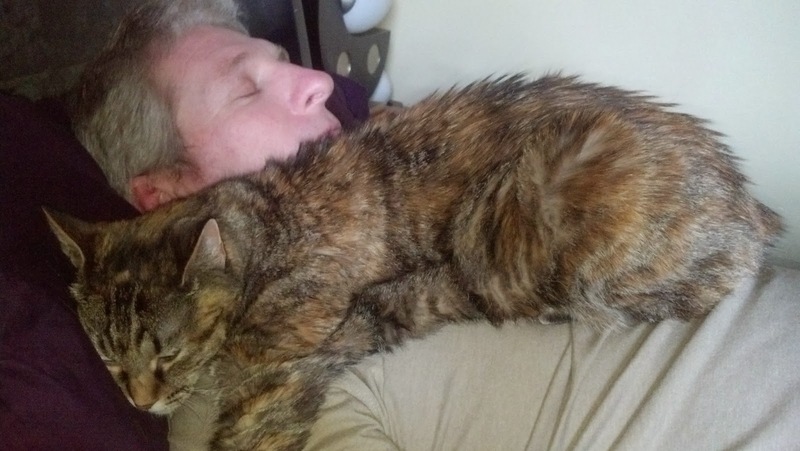 In fact, Chestnut has really taken to Dad. She is the most relaxed with him. She will cuddle with him as long as he will let her. Mama thinks she would thrive with a single man or a male couple. I know her Prince Charming(s) is out there somewhere! 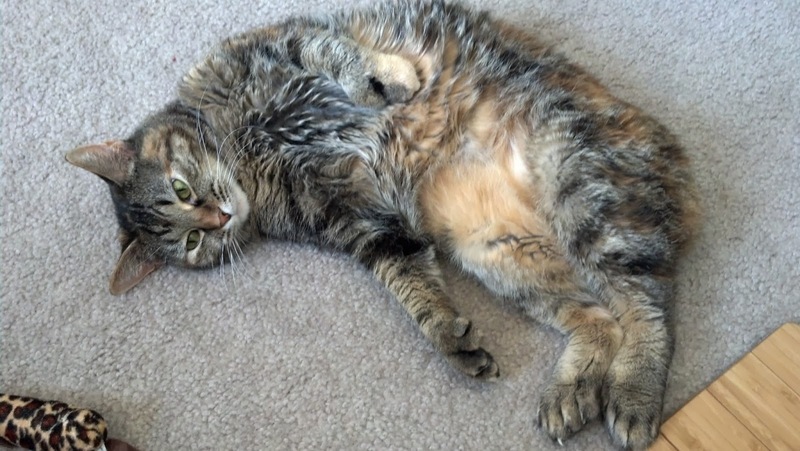 She is playful when she's relaxed and loves to just hang out with you. She helps Mama in her office every day and she makes a great assistant! Chestnut definitely needs to be in a home without children or other pets. 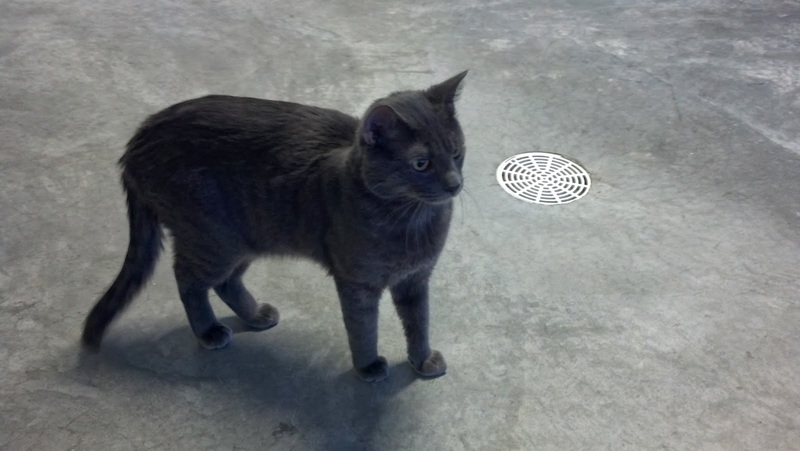 She needs a calm environment and time to adjust to a new home. Her forever family would be patient with her and would be willing to learn her signals, respecting her need for distance at times. You can see more of Chestnut by searching #ChooseChestnut on Facebook, Twitter, and Instagram. There you will see the pictures Mama and I post of her and you can keep up on her progress. If you think you are Chestnut's Prince Charming, you can make arrangements to meet her by contacting Wayside Waifs in Kansas City.